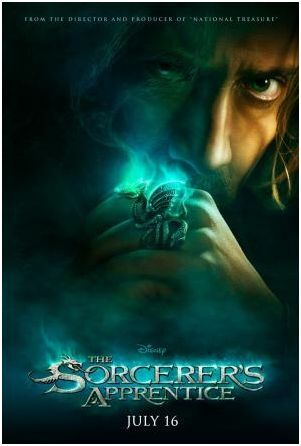 I'm still curious about The Sorcerer's Apprentice but it this curiosity is transitioning into excitement. The movie is a live-action re-imagining of the Mickey Mouse Sorcerer's Apprentice segment in Disney's Fantasia. I love Fantasia and this being a re-imagining creates some concerns whether they are able to pull it off. This trailer is a good intro into the movie. They show off some of the magic and gives us an idea of what the movie is about. This one is mainly only good for additional footage like the neat mini dragon becoming a ring moment.